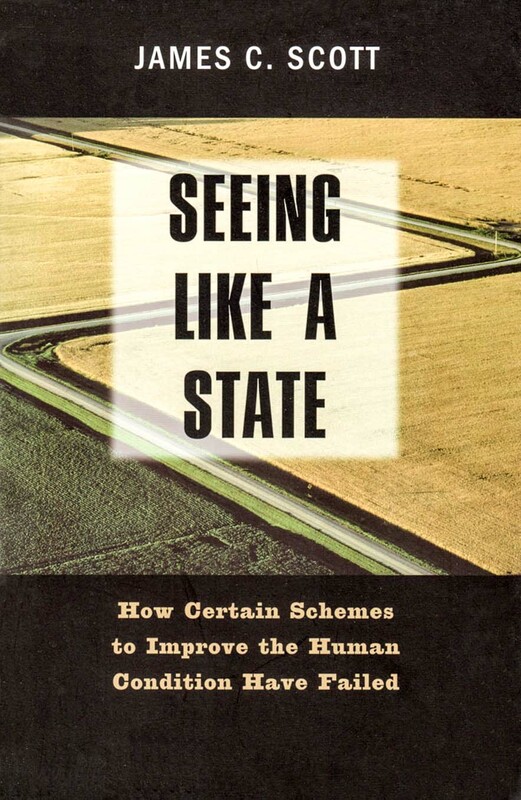 This time we'll be taking a quick look at James C. Scott's book Seeing Like a State, How Certain Schemes to Improve the Human Condition Have Failed. My purpose in reviewing Seeing Like a State is to draw attention to some concepts which I had never really thought about before reading this book. Awareness of these concepts has helped clarify my thinking since then. Or so it seems to me. As with my last post, I hope this may be helpful to my fellow Canadians. I certainly don't intend to speak down to my countrymen—they lean in a direction of which I heartily approve. But when it comes to evaluating the worth (or worthlessness) of states, a different approach is required here, where we are proudly carrying on with our experiment in progressive social democracy, than when talking to people from south of the border, whose newly elected leadership seems eager to dismantle much of their government. I read this book a couple of years ago and there wasn't really time in the schedule I'd set myself currently to give it a thorough re-reading. So I went looking on the internet and found several detailed reviews and a youtube video of the author discussing the book. As Scott says in the video, the essence of the thing is in the first 15 pages, the rest of it is just examples to prove the point. ...the state has always seemed to be the enemy of "people who move around"... In the context of Southeast Asia, this promised to be a fruitful way of addressing the perennial tensions between mobile, slash-and-burn hill people on the one hand and wet-rice, valley kingdoms on the other. The question, however, transcended regional geography. Nomads and pastoralists (such as Berbers and Bedouins), hunter gatherers, Gypsies, vagrants, homeless people, itinerants, runaway slaves and serfs have always been a thorn in the side of states. Efforts to permanently settle these mobile peoples (sedentarizations) seemed to be a perennial state project—perennial, in part, because it so seldom succeeded. The more I examined those efforts at sedentarization, the more I came to see them as a state's attempt to make a society legible, to arrange the population in ways that simplified the classic state functions of taxation, conscription and prevention of rebellion. Having begun to think in these terms, I began to see legibility as a central project of statecraft. The premodern state was, in many crucial respects, partially blind; it know precious little about its subjects, their wealth, their landholdings and yields, their location, their very identity. It lacked anything like a detailed "map" of its terrain and its people. It lacked, for the most part, a measure, a metric, that would allow it to "translate" what it knew into a common standard necessary for a synoptic view. As a result, its interventions were often crude and self-defeating. In order for a state to succeed in its projects, it needs control and to effectively exercise control it needs intelligence—information about its land and its people. How did the state gradually get a handle on its subjects and their environment? Suddenly, processes as disparate as the creation of permanent last names, the standardization of weights and measures, the establishment of cadastral (tax) surveys and population registers, the invention of freehold tenure, the standardization of language and legal discourse, the design of cities, and the organization of transportation seemed comprehensible as attempts at legibility and simplification. In each case, officials took exceptionally complex, illegible, and local social practices, such as land tenure customs or naming customs, and created a standard grid whereby it could be centrally recorded and monitored. This project of making society legible has been going on for centuries and where I live it is pretty much complete. But my wife and I both grew up on farms that didn't have street numbers. You can bet there were lot numbers for tax purposes, but nobody bothered with them for addresses. We knew where we lived and so did our neighbours—it just wasn't a problem for any of the locals, and mail came to "general delivery" at the local post office. It was only in the process setting up the 911 emergency call system, in the 1990s, that every house and farm in Bruce County was finally given a number. In rural areas, those numbers are now proudly displayed at the end of our driveways, so the police, fire and ambulance drivers can find us when we need them. The concept of legibility is the first new idea I encountered in this book. We in the modern world are immersed in legibility and, in most cases, hardly aware of it. Even some politicians—governing ones—seem to be unaware of it. Steven Harper (a former Canadian Prime Minister) comes to mind, doing away with our "long form" census, because he didn't want to collect (and be confused by) facts that didn't fit his ideology. Anyway, the government knows where we live, how much we make in a year, our phone number, the license number, make and colour of the car we drive, and so forth. Most of us accept this very meekly. It enables government to deliver the services we count on and to some it seems that legibility is only a disadvantage to criminals or those who actively oppose the state. I'd say, yes, but only if the state is using all that information to do what you want it to. This isn't always so, especially for those who don't fit so well in the one-size-fits-all mold that states tend to stamp out for their citizens. And that leads us to another concept that goes along with legibility: simplification. The world is a very complex place, full of distracting details, most of which we ignore. This is true for individuals in day to day life, but even more so for states. There are a great many details that a state simply cannot afford to be interested in. What it needs is a synopsis that contains just the information which is significant to its projects. Who's to say what's significant? Well, therein lies a whole range of problems. When I was the foreman of a crew of electricians, my boss frequently grew frustrated with my usual answer to his questions, which was: "it depends". He wanted a simple yes or no, but often the situation just wasn't that simple and my point was that if he was willing to let a little more information through his filters he'd be able to make better decisions. Having acquired a measure of legibility, modern states set about a number of huge development fiascos. But "fiasco" is too lighthearted a word for the disasters I have in mind . The Great Leap Forward in China, collectivizations in Russia and compulsory villagization in Tanzania, Mozambique and Ethiopia are among the greatest human tragedies of the twentieth century, in terms of both lives lost and lives irretrievably disrupted. At a less dramatic but far more common level, the history of Third World development is littered with the debris of huge agricultural schemes and new cities (think of Brasilia or Chandigarh) that have failed their residents. It is not so difficult to understand why so many human lives have been destroyed by mobilized violence between ethnic groups, religious sects or linguistic communities. But it is harder to grasp why so many well-intended schemes to improve the human condition have gone so tragically awry. 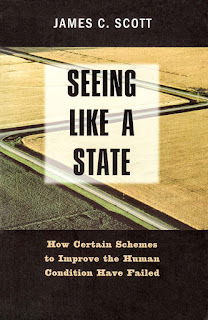 I aim, in what follows, to provide a convincing account of the logic behind the failure of some of the great utopian social engineering schemes of the twentieth century. Scott identifies four elements, the combination of which leads to such tragedies. The first is the simplification that comes with legibilitiy. The second element is what I call a high modernist ideology. It is best conceived as a strong, one might even say muscle-bound version of the self-confidence about scientific and technical progress, the expansion of production, the growing satisfaction of human needs, the mastery of nature (including human nature), and, above all, the rational design of social order commensurate with the scientific understanding of natural laws. It originated, of course, in the West, as a by-product of unprecedented progress in science and industry. High modernism must not be confused with scientific practice. It was fundamentally, as the term "ideology" implies, a faith that borrowed, as it were, the legitimacy of science and technology. It was, accordingly, uncritical, unskeptical, and thus unscientifically optimistic about the possibilities for the comprehensive planning of human settlement and production. The carriers of high modernism tended to see rational order in remarkably visual aesthetic terms. For them, an efficient, rational organized city, village, or large farm was one that looked regimented and orderly in the geometric sense. The carriers of high modernism, once their plans miscarried or were thwarted, tended to retreat to what I call miniaturization: the creation of a more easily controlled micro-order in model cities, model villages, and model farms. By themselves, though, legibility, simplification, and an ideology like high modernism are not enough to do much real harm. A couple more elements are necessary for that. The third element is an authoritarian state that is willing and able to use the full weight of its coercive power to bring these high-modernist designs into being. The most fertile soil for this element has typically been times of war, revolution, depression, and struggle for national liberation. In such situations, emergency conditions foster the seizure of emergency powers and frequently delegitimize the previous regime. They also tend to give rise to elites who repudiate the past and who have revolutionary designs for their people. A fourth element is closely linked to the third: a prostrate civil society that lacks the capacity to resist these plans. War, revolution, and economic collapse often radically weaken civil society as well as make the populace more receptive to a new dispensation. Late colonial rule with its social engineering aspirations and ability to run roughshod over popular opposition, occasionally met this last condition. In sum, the legibility of a society provides the capacity for large scale social engineering, high modernist ideology provides the desire, the authoritarians state provides the determination to act on that desire, and an incapacitated civil society provides the leveled social terrain on which to build. But why is it that these four elements, when combined, have led to disaster? Designed or planned social order is necessarily schematic; it always ignores essential features of any real, functioning social order. This truth is best illustrated in a work-to-rule strike, which turns on the fact that any production process depends on a host of informal practices and improvisations that could never be codified. By merely following the rules meticulously, the workforce can virtually halt production. In the same fashion, the simplified rules animating plans for, say, a city, a village, or a collective farm were inadequate as a set of instructions for creating a functional social order. The formal scheme was parasitic on informal processes that, alone, it could not create or maintain. To the degree that the formal scheme made no allowances for these processes or actually suppressed them, it failed both its intended beneficiaries and ultimately its designers as well. Throughout the book I make the case for the indispensable role of practical knowledge, informal processes, and improvisations in the face of unpredictability. ...I contrast the high-modernist views and practices of city planners and revolutionaries with critical views emphasizing process, complexity, and open-endedness. ...I attempt to conceptualize the nature of practical knowledge and to contrast it with more formal, deductive epistemic knowledge. The term mētis, which descends from classical Greek and denotes the knowledge that can come only from practical experience, serves as a useful portmanteau word for what I have in mind. Here I should acknowledge my debt to anarchist writers (Kropotkin, Bakunin, Malatesta, Proudhon) who consistently emphasize the role of mutuality as opposed to imperative, hierarchical coordination in the creation of social order. Their understanding of the term "mutuality" covers some but not all of the same ground I mean to cover with "mētis." Scott acknowledges that from today's perspective, a critique of the failings of high modernism is like a kind of quaint archaeology. Central planning has long since fallen out of favour. ...States with the pretensions and power that I criticize have for the most part vanished or drastically curbed their ambitions. And yet, as I make clear in examining scientific farming, industrial agriculture, and capitalist markets in general, large scale capitalism is just as much an agency of homogenization, uniformity, grids and heroic simplification as the state is, with the difference being that, for capitalists, simplification must pay. A market necessarily reduces quality to quantity via the price mechanism and promotes standardization; in markets, money talks, not people. Today, global capitalism is perhaps the most powerful force for homogenization, whereas the state may in some instances be the defender of local difference and variety. There is much fertile ground today for the sort of thing Scott was talking about. Take out high modernism, substitute in the current ideological fad and combine it with legibility, simplification, a generous dash of authoritarianism and an unsuspecting populace and away we go. We must remember, when getting rid of a bad government, not to usher in something even worse. Right wing populism, techno optimism and eco-modernism come to mind as ideologies that I would really rather not have forced on me or my community. Neo-liberalism and neo-conservatism have already done enough harm. All these are certainly just as uncritical, unskeptical, and unscientifically optimistic as high-modernism. Scott goes on for 9 more chapters with a plethora of examples illustrating his thesis. This review discusses them in some detail, if you're interested. It also has some criticism of Scott's ideas, which I think is probably somewhat unfair. In several places in the book Scott mentions Jane Jacobs, whose activism against, and critique of, modern urban planning I had not previously been introduced to. Here is a biographically article about her that is well worth reading. This is the last book review I'll be doing for a while. Next time I'll finally get around to talking about what I see as lying ahead of us—the slow and tortuous collapse of industrial civilization. Of course, many people I run into think I am being needlessly dramatic. They would say that business as usual is still in pretty good shape and has a long future ahead of it. I'll begin with why I think that is the single biggest lie we are being told these days. Do you have something written about the topic of the last paragraph? Luis, that is what I will be doing over the next few weeks--a series about the way I expect collapse to go down. If you scan through my earlier posts, you will find bits and pieces on the topic. Population is always the elephant in the room. It is difficult to tell individuals and countries to stop having children or even to cut back. At least the Ecomodernist movement makes an effort to find a way forward, feeding and housing the population we have, rather than just wishing they would die already. Hi Monika, nice to hear from you. The issues you raise don't have all that much to do with "Seeing Like a State", but everything to do with the next series of posts that I am working on now, so I am glad to get into this discussion. Believe it or not, I don't wish this planet's population "would just die already." But I know that as soon as one starts talking about collapse, it's hard not to give that impression. I'll consider myself well and justifiable chastised, and in the next few months when I am writing about collapse, I'll try to be more sensitive on this issue. It will be a challenge, though. We are already well into overshoot, placing a burden on the ecosphere that is about 150% of what it can bear on an ongoing basis. And because of that, its carrying capacity is actually going down as we go along, so that the percentage overshoot would be getting higher even if the population wasn't growing. But it is, of course, and the estimates I read say that our population will continue to grow until sometime in the last quarter of the century, when it will peak out at around ten or eleven billion and finally start to decline. In my opinion, long before then, something is going to give way. So we need to reduce the burden we are placing on the ecosphere. You are probably familiar with the formula for that burden, burden=PA/T. That is, population times affluence divided by technology. As you say, it is difficult to ask people to have fewer children and most everyone is striving to increase their affluence, rather than decrease it. So the only thing that seems to be politically possible is to increase technology so as to get the same level of affluence while placing less of a burden on the planet. This is called decoupling. I think the formula is wrong here--everything I've read indicates that decoupling isn't working and isn't likely to. Technology uses energy and materials and is in such high demand that it's making things worse, not better, increasing affluence at every turn. You don't have a cell phone, I'm using one that is several years old and don't plan to upgrade any time soon, but most of us aren't so responsible. I initially wondered why you mentioned eco-modernism, but then I realized that I had brought it up on my list of ideologies that I wouldn't want to see applied by an authoritarian government. Nor would I--if you're going to "make an effort to find a way forward", you really have choose a path that has some chance of leading somewhere useful. Eco-modernism is a brand of techno-optimism and it's all about decoupling, which I don't see as working at all. I anything, it will stop us from implementing the measures I see as necessary. I do think there are thing we can do to reduce the severity of the collapse we face. I think genetic engineering is one of the areas of technology that is still young and not yet maxed out. It promises to help keep agriculture working in the face of climate change and resource depletion. Many of the other measures I would recommend involve reducing affluence. Borrowing from John Michael Greer, I'd say conservation, decentralization and rehumanization are high on the list. Conservation will have to involve having LESS--less energy, less stuff, less stimulation. There is much to be said about decentralization and rehumanization, but I guess I should stop now and let you have a turn. Affluence does bring down birth rates as it increases education and the need for women to work and contribute to the household finances. The ability to pay for children in an affluent society becomes difficult and puts the brakes on large families. There is a need for the level of affluence to find a balance, rise in some parts of the World and lower in others. With luck the energy sources will last till we find that balance. As you pointed out, genetic engineering still has potential to help agriculture and I would like to add nano-fertilizers that can slow release nitrogen and phosphorous in response to signals from the plant roots. These fertilizers would reduce the impacts of nutrient pollution and conserve phosphorous. Many environmentalists see nuclear energy as a way to provide carbon free energy and I agree. If I have a declining amount of energy dense hydrocarbons, it is prudent for me to use them in the development of nuclear which has most potential to carry us further into the future than any solar or wind farm. The above technologies have us sounding like eco-modernists and make an effort to feed, clothe and house humans. Now let's circle back to your blog above and the slight demonization of the state. This is a popular thing to do it seems. 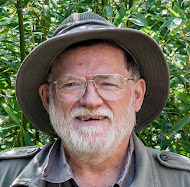 Thirty years ago, Jared Diamond wrote The Third Chimpanzee and claimed settling down in communities and domesticating plants and animals essentially destroyed our health, leisure time and social equality. You call it decentralization and rehumanization. Others would say living off the grid and not letting the government control your life. All of this places humans above and beyond other animals, plants, insects. George Monbiot writes about rewilding and giving back large swathes of land to nature. By using the land we occupy as efficiently as possible through urbanization, intense agriculture, dense energy forms such as nuclear...we can make room and give land back to nature. Humans do not have to occupy every nook and cranny of this Earth. My parents retired and built a home in remote British Columbia. They tried to live as independently and frugally as possible with their own fish, vegetables, water and wood. Other retirees came to the area and built houses at even higher elevations encroaching on cougar and bear habitat, putting roads where none had been before and putting pressure on local fire departments to suppress fires because they were in newly settled areas. A land slide caused loss of property and life when it came down quickly and unexpectedly in a community nearby. Few of these people stay as their health fails and they need access to hospitals. My mother passed away from cancer and my father left Canada to live in dirty, over populated Germany. My hope is the land gets taken over by nature again. Hi again, Monika. You bring up a lot of things that are worth discussing. I guess I'll just respond point by point. It will probably nave to go in several comments as there seems to be a limit on how big comment can be. Affluence and education for women definitely brings down the birth rate. Even in developing nations where in seems only a little affluence is needed. And that is a good thing as there aren't enough resources to lift the whole world up to a North American lifestyle. Can we reach a balance before it is too late? I think a balance would require significantly fewer people than we have now. I'd say it might be done with a couple of billion, but that is optimistic. Other say as little as a few tens of millions. The thing to remember is that as long as we are in overshoot, we are actively reducing the carrying capacity of the planet. This is especially true as those of us who live in developed countries struggle to keep business as usual going and maintain our extravagant lifestyles. The four horse men (pestilence, war, famine, death) and probably a list of others are going to have their way will us over the next few decades. Harshly in some areas, less so in others. Genetic engineering is a young area with lots of potential as yet. It can create strains of crops that breed true and can benefit people at low levels of technology. Although it's looking, with developments like CRISPR, that it may be something that can be done in a kitchen lab with a lower level of tech than is currently required. In particular, bacteria and yeast engineered to produce vaccines, insulin, rennet for cheese making and the like have great promise to let us continue to enjoy the benefits of our industrial civilization after it have for the most part collapsed. I won't argue against anything (like non-fertilizers) that makes industrial agriculture less impactful on the environment. But in the long run, I think we'll be forced to switch over lower input practices, because we won't be able to afford the inputs and/or because they will no longer be available. I worked at the Bruce Nuclear Power Development (now Bruce Power) from 1977 to when I retired in 2005. I live only 10 miles say from it and on a clear day I can see it from the beach just down from where I live. You might conclude that I am not worried about the risks of operating a nuclear plant, and you'd be right. I am more concerned about whether we'll succeed in shutting that plant down in an orderly and safe fashion. Not that it can't be done. But very little is being done to plan ahead for this and what plans are being made are meeting with public opposition. Even a plan to store low and medium level waste underground on the Bruce site has met with a lot of opposition. When it comes to storing spent fuel, the anti-nukes will go crazy (crazier). And by the time we get around to really doing something about this, we'll have a lot less resources to apply to the problem than we do now. Should we be building more nuclear generation? Sure. We should make sure to pan ahead and set aside resources to shut them down carefully. And we should realize that presuming we could build enough reactor to replace the energy we get from fossil fuels (a lot) there wouldn't be enough nuclear fuel to run them for more than a few decades. Breeder reactors? Sure, but they are still "paper reactors"--little more than a buzzword at the present time. Can we switch over to renewables? I am sure we will, but at a much lower level of energy use per capita than we currently have. Me yet again, Monika. I was hoping someone from Canada would object to my demonization of the state. We've had it very good here in Canada for the last 150 years. And there are a handful of other countries that have done as well, mainly northwestern European democracies. But if you look throughout history or even around the world at present, you'll find many other states that deserve at least a little bit of demonization. In my way of looking at it, states exist to redistribute the surplus energy generated by the efforts of their citizens. If there is lots of surplus energy, a beneficial ideology, and the populace has some say in how tings are run, this can work very well. As a rule there have been none of these things. Only in the last couple of hundred years did the Enlightenment combine with a once only jackpot of fossil fuels to make our progressive socialist democracies possible. As surplus energy declines, governments, even those with the best of intentions, will be able to do less and less for their citizens. I think we, as citizens, need to be aware of this so we can make sure our energy descent is managed well. The danger is that inequality will continue to grow and a rich and powerful minority will control things and make sure their own interests are seen to, while the rest of us get thrown to the wolves. Just look to the south of us, in the USA, to see how this is progressing. Anyway, just noticed in your first comment to Monika, you mentioned the 'burden' on the ecosphere problem and quoted the famous equation measuring that burden as burden = PA/T. No sorry, Irv that isn't correct. The impact i (where i = what you call burden) is i= PAT, i.e impact equals population x affluence x technology. That's how Paul Ehrlich, whom I believe put it together (with colleague John Holdren) expressed it. I'm pretty sure I'm correct here, unless it's been changed. I've only just read the rest of the conversation between you and Monika briefly and will get back to it to take a longer look. I followed the links and watched the videos of Scott and he's an interesting fellow, who sees further than most. While I realise we might need the state for some things, I think its influence has gone too far now, almost to the point where human beings think they cannot do without it, yet in reality, as Scott says, we have lived without the state for most of our evolutionary history and can do so again (with a much lowered population, of course). "Anthrozoology: Embracing Co-Existence in the Anthropocene"
Bev(foodnstuff) and Luis, thanks for the clarification. It is indeed I=PAT. That'll teach me to shoot from the hip without looking things up first. And thanks, Luis, for that link. A quick scan confirms my understanding of the impact equation and the point I was trying to make--that eco-modernism is fundamentally impractical. I have more to say about that but I've printed out the article and I'll be reading it through before saying anything more. Bev and Monika, it is interesting to note the difference in your thoughts on the state. Room for all kinds of opinions here! OK, I read "A Brief History of I=PAT". It makes exactly the point I was trying to make. Because population and affluence are political hot potatoes, especially if you want to reduce them, it is expedient to focus on technology. Barry Commoner, back in the early 1970s, was trying to convince people that P and A have very little real influence on impact--it's all down to bad technology. This idea is nonsense, of course, but it is easy to convince people that it is true because that is what they want to believe--that we can go on having more children and living more extravagant life styles--we just have to develop technology that will reduce our impact on the environment. This is what is known as "decoupling". Ideologies like eco-modernism pin their hopes for our future on decoupling. In my opinion those are false hopes. I=PAT is a pretty simple equation, but most people have such a tenuous grasp of arithmetic that they don't have a good feel for what the equation is saying. T in this equation is not "technology" but the impact on the environment of whatever technology we use to maintain our population at its current level of affluence. There seems to be pretty good agreement that I (impact) is too large--we are in overshoot by about 150% and need to reduce our impact. If P and A were stable, it would just be a matter of reducing T by a factor of 2/3 or better so we would no longer be in overshoot. And I think that would probably be possible. But both P and A are growing and according to conventional wisdom must continue to grow. Continued growth is exponential growth and T must decrease exponentially to compensate for this. That's what I don't think is possible.